As if a single screen was not enough, ASUS has announced the Taichi convertible notebook, which sport two display screens. It comes with a choice of 11.6-inch and 13.3-inch IPS panel displays, and houses Intel Core-i7 Ivy Bridge processors with 4GB of DDR3 RAM, SSD storage, a resolution of 1920x1280 pixels on both displays among other things. 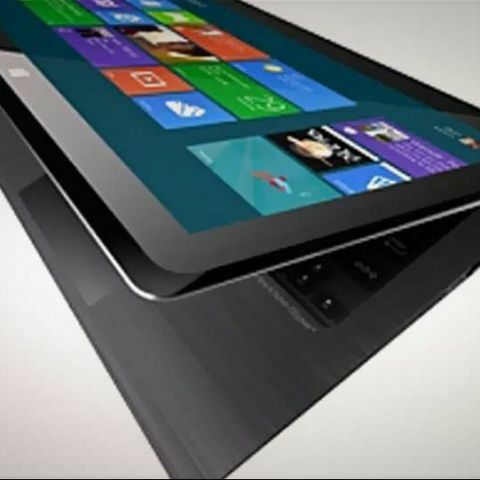 The OS, as has been the trend at Computex 2012 so far, is Windows 8. Although ASUS says that both the displays on the Taichi convertible notebook can be used independent of each other, we really are in a dilemma as to how that can be done. Especially two people using the different displays, how will that work out? Will the ASUS Taichi convertible notebook be a hit or will it sink without a trace like the Acer dual touchscreen Iconia laptop – the 6120? Also what impact will it have on the battery life? We will have to wait and watch.